Christmas Gift Guide: What Lizzy Loves, Uses And Wears. My blog has opened a lot of doors for me and I have been introduced to a lot of brands that I otherwise wouldn’t know about. I enjoy supporting start-up businesses and small, independent companies. As a small (miniscule), business-owner myself, I know just how difficult it is to market and advertise products and to compete with big brands and chains. It is with this in mind that most things I’m going to recommend in this Christmas Gift Guide are from small retailers. The rest are from well-known brands or stores. Without exception though, every single thing is something I wear or use myself. That way you know it’s a true recommendation and not just a list of things I like the look of. If it has appeared in a previous blog post, I’ll put a link to it, but otherwise, the link will take you directly to the product page. As I’m sure you know by now, (because I may have mentioned it once or twice 😉 ), I have a small online boutique, Lizzy O. 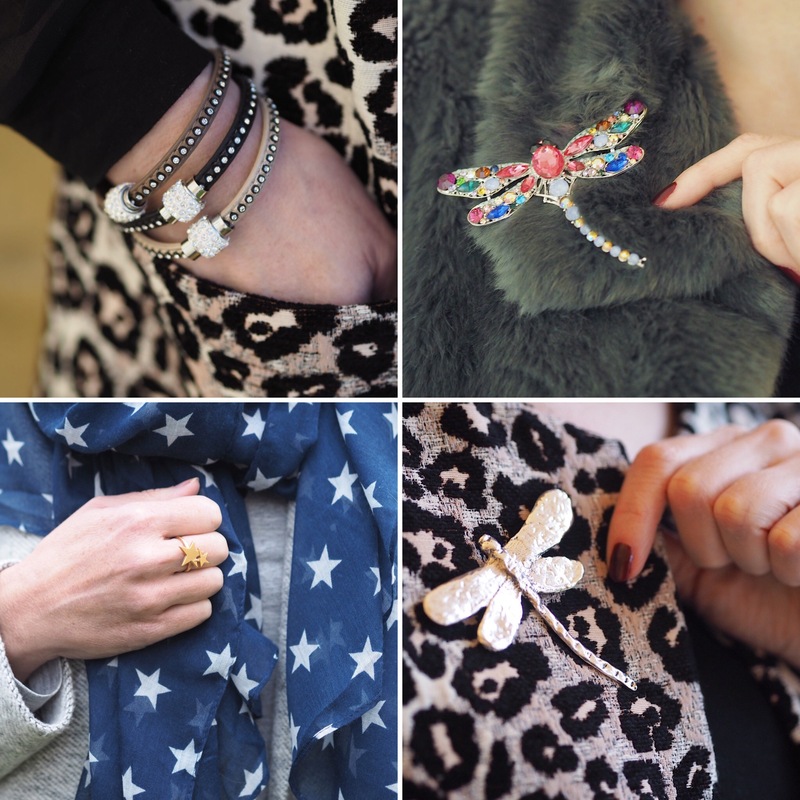 In it I sell beautiful jewellery by Danon which you might have seen in independent gift shops. 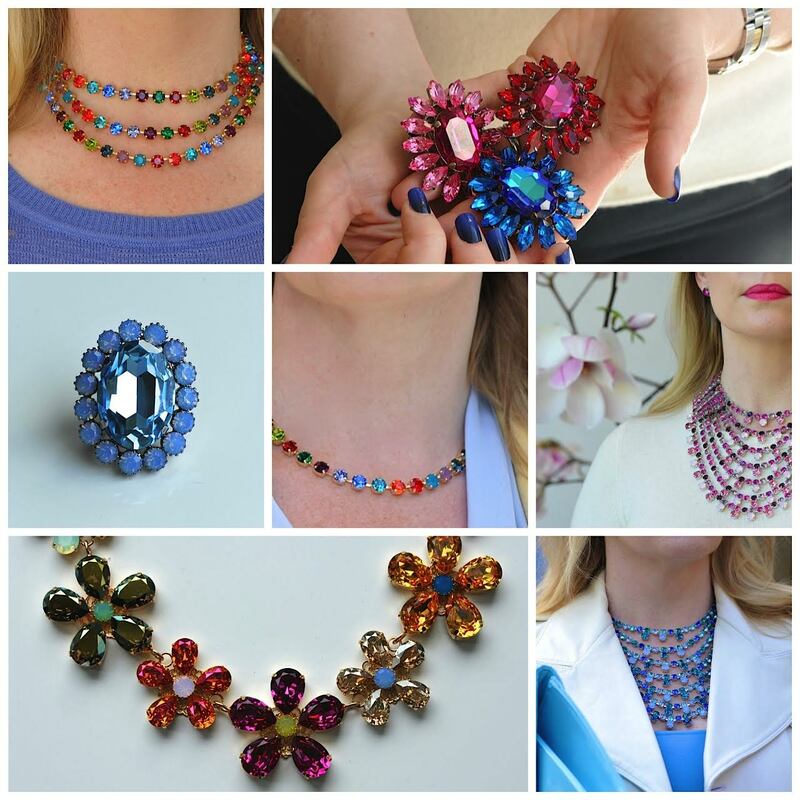 Prices start from £19 and many of the pieces include semi-precious gems, freshwater pearls and Swarovski crystals. 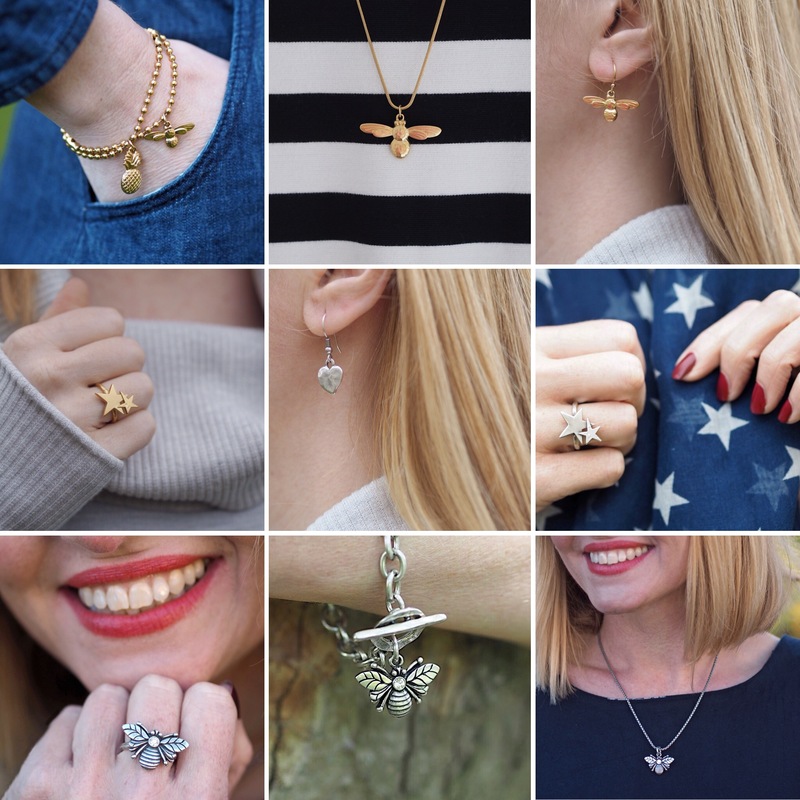 I’d be hard pushed to choose a favourite but the double stars rings and the honey bees are among my most worn pieces of jewellery. 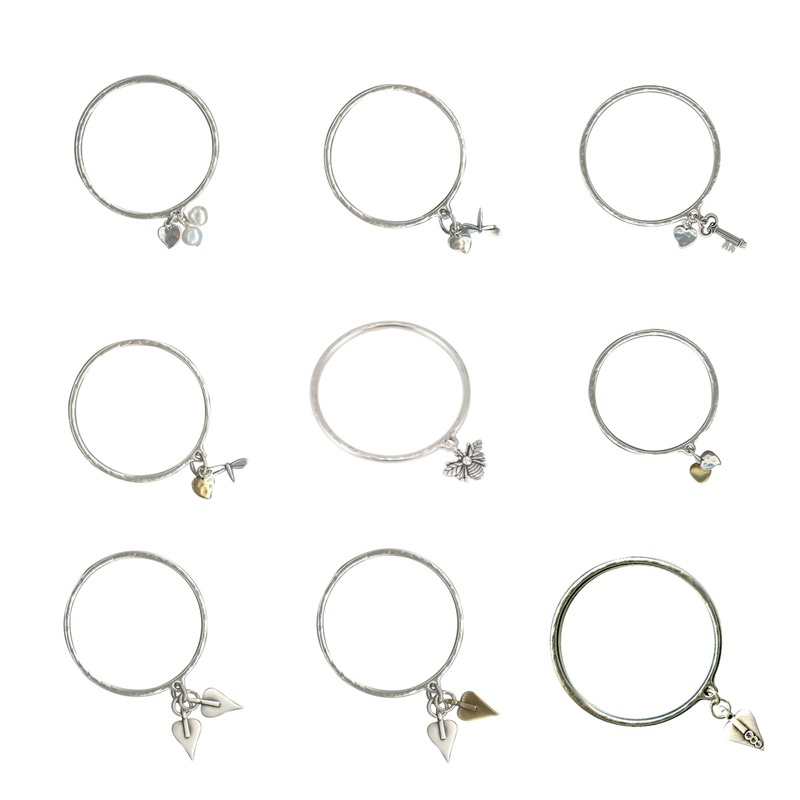 The range of bangles is fabulous and they look brilliant when stacked together. 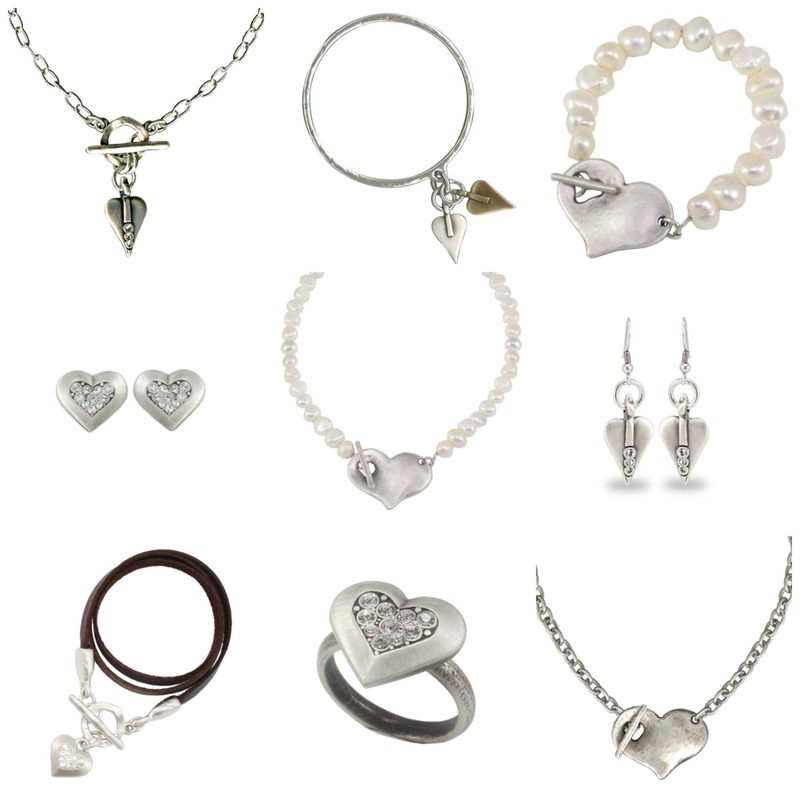 The Danon heart jewellery is really quite distinctive and the pieces lend themselves to being mixed and matched. I also stock inexpensive sparkly wrap bracelets in the boutique too along with statement brooches and scarves.It All these are easy to wrap and to post and are a simple way of updating an outfit and adding a touch of sparkle or colour. They’re excellent for teacher gifts and also for table presents and stocking-fillers (from £10). My dear blogging friend Lisa, The Sequinist has a jewellery boutique too. It’s filled with a mouth-watering array of rainbow Swarovski crystal pieces that start from £35 for a stunning cocktail ring. I styled mine with a pink and green statement skirt and with a simple dark green tunic dress but I’ve also worn it with jeans and a tee. I adore it. Take a look at The Sequinist Shop to see her stunning collection of rings and necklaces that are guaranteed to make you shine. There are so many clothing and shoe brandsthat I could mention here. Some I work with repeatedly, others I have never worked with- I simply love their designs, so buy them. I have chosen two independent, London-based dress designers and also a shoe brand which is run by two busy mums. 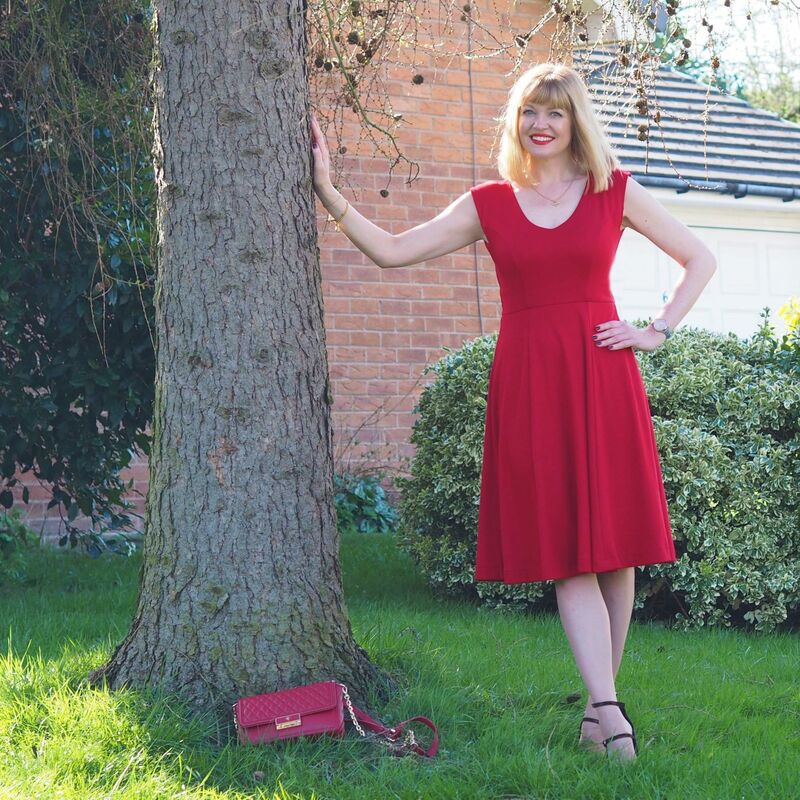 Alie Street sent this red dress to me back in Spring and I have worn it over and over, including for my daughter’s 16th birthday celebrations.It is such a simple, classic style that it has become a go-to choice for so many occasions, throughout the year. (This is the Olivia in chilli pepper and it’s currently reduced to £129). Alie Street has a gorgeous array of dresses for both day. evening and formal occasions. On the other hand, this stunningly sparkly fitted maxi dress, gifted from Zoe Vine is definitely an occasion piece. Although, with that being said, I wore it last weekend in Malaga with flat shoes and a denim jacket for a walk round the Christmas lights and a casual tapas supper. Both dresses are beautifully made and are in a similar price-bracket to something from Hobbs or Coast. Because they are not a high street brand, the designs are a little more exclusive, so the risk of running into somebody wearing the same dress is lower. Taylor Blake make a range of comfortable, stylish ballerina flats. They are such beautiful quality and I highly recommend them. I love food, cooking and entertaining and I’m always delighted to receive a gift relating to any of these. We’re very proud of Bettys here in Yorkshire and a visit to any of their tearooms is a treat in itself. They do a wonderful range of Christmas treats and hampers available for delivery. I have been a Bettys customer for several years and I took part in a photoshoot for them in late summer, so I have huge affection for them. 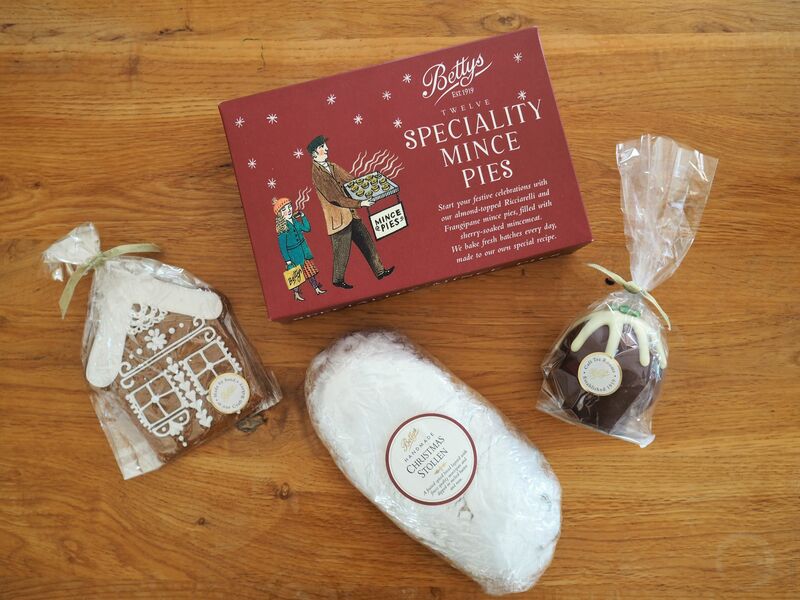 I promise you that you will never taste a finer French Fancy than at Bettys! 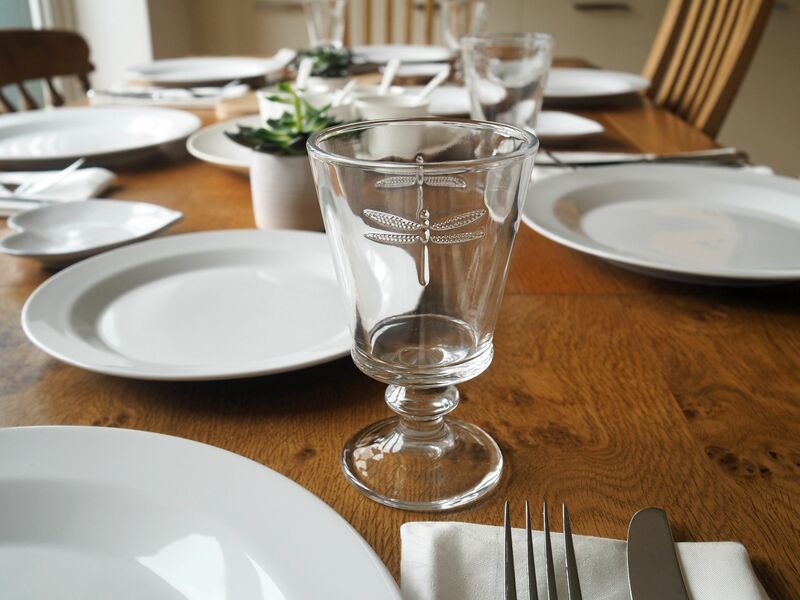 Crockery and glassware may not be an obvious Christmas gift, but it means you can add to it year on year. 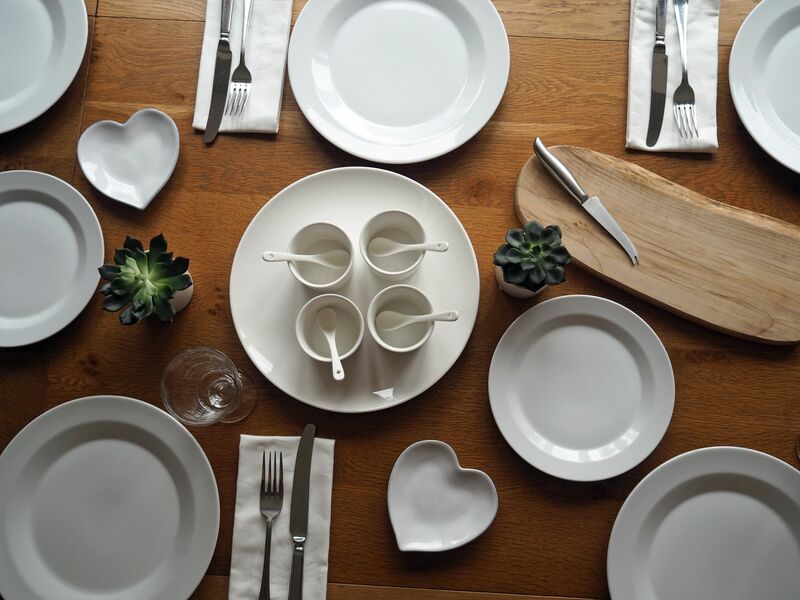 You may remember that earlier this year, I got some new white tableware from Denby. It’s been very versatile indeed. And adding an accent colour or some vintage pieces to mix it up is easy if minimilism isn’t for you. My dining table seats 8-10 at a push. When I do have that many guests, there simply isn’t space to give everyone a red wine, white wine and water glasses. Plus, when the table is crowded, and you have a natural predisposition, as I do, to knock things over, it’s probably best to leave the crystal glasses for when there are fewer guests. On these occasions, I use glassware that is suitable for wine, water and soft drinks. It reduces the washing up too which is always a bonus, particularly so on Christmas Day! My dragonfly glasses are from India Jane and they really do serve me well for this purpose. Robust enough to stand their ground on a groaning table, but pretty enough to make drinking from them enjoyable. (£5.90 each). 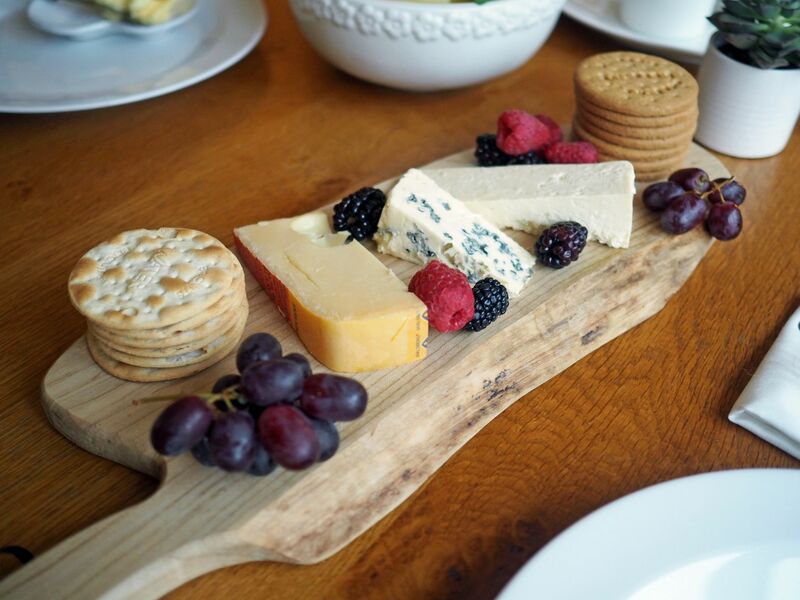 Having a range of wooden and slate platters is something I highly recommend. They can be used to present anything from cheese, mince pies, anti-pasti, cold meats and so much more. They’re robust and easy to wipe clean afterwards. Mine is a sycamore live edge paddleboard from Smith Originals, (£22), a very small independent carpenter and I love it. They also make the most beautiful bespoke tables, wine racks and so much more, so do take a look. I hope this Christmas Gift Guide has given you some inspiration. As I said, because I have used or worn every single item on it, I can honestly recommend them. Some great choices Lizzy. I can vouch for Betty’s and their online service. We had a superb Simnel cake at Easter. Good to see a blogger supporting small businesses. INSIDE OUT BLOG has sent me! DASHING NOW will be back with MORE SOON!